This entry was posted in 2015 U.S. Figure Skating Championships and tagged 2015 Prudential U.S. 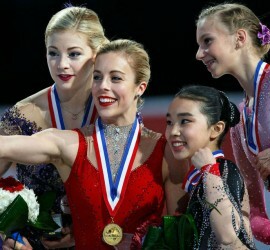 Figure Skating Championships Adam Rippon Ashley Wagner Courtney Hicks figure skating competition Gracie Gold Jason Brown Johhny Weir Josh Farris Karen Chen Polina Edmunds Tara Lipinski on January 26, 2015 by Terri.